A ransomware virus associated with the e-mail [email protected] that leaves files, named _HOW_TO_DECRYPT on the victim’s computer and adds .encrypted file extension after it encodes the files of infected users has appeared, researchers report. The virus-encoder has been reported to be using the name CryptoWall – the biggest ransom virus by impact ever to appear on the wild web. The file encrypted by this virus can no longer be accessed by any software, and affected users are advised by the cyber-criminals not to focus on removing the threat themselves and trying to restore the files. 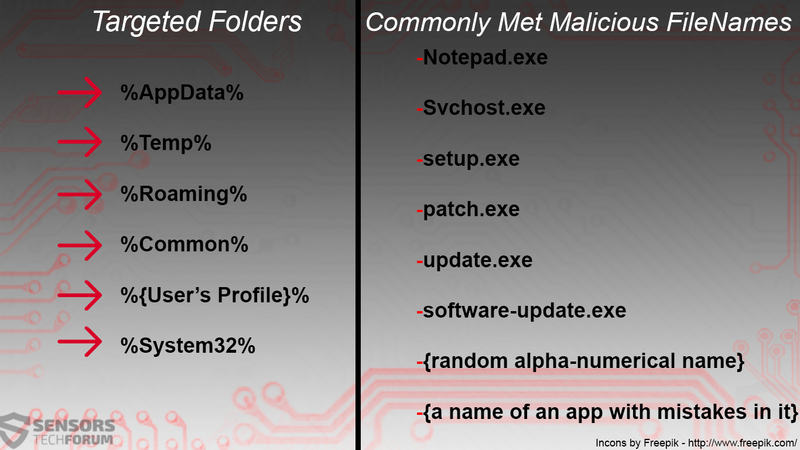 Malware research experts however strongly recommend to remove CryptoWall Software ransomware and look for reserve methods like the ones in this article to restore the encrypted files. Short Description Encrypts user’s files with a strong encryption and then adds the “_HOW_TO_DECRYPT.bmp” file ransom note. Symptoms Encrypted files have no icon, can no longer be opened and have the .encrypted file extension added to them. Distribution Method Via an Exploit kit or other malicious tools. User Experience Join our forum to Discuss CryptoWall. Spamming services from other crooks. Ransomware kits bought illegally online or downloaded for free from open-source projects’ like Hidden Tear, for example. Such e-mails may either contain malicious e-mail attachments pretending to resemble legitimate documents or may also have malicious URLs that can cause drive-by downloads and another type of attack usually after a browser redirect. Besides those widespread methods, there are also other means such as distributing malware via referral spam, via Facebook spam bots or hijacked accounts and other means. After this malicious deed is done, the CryptoWall Software virus gets down to the encryption part. It may use a strong AES or RSA (or both) encryption algorithms with a CBC (Cipher Block Chaining) mode which breaks the files when you directly try to decrypt them with other programs. mathematical calculations and algorithms. Restoring requires a corresponding decryption algorithm in form of software and the decryption key. Data encryption is the process of transforming information by using some algorithm to make it unreadable to anyone except those possessing a key. In addition to the private key you need the decryption software with which ypou can decrypt your files and return everything to the same level as it was on the first place. Any attempts to try restore you files with the third-party tools will be fatal for your encrypted content. I almost understood but what do I have to do? The first thing you should do is to read the instructions to the end. Your files have been encrypted with the “CryptoWall” Software. The instructions, along with the encrypted files are not viruses, they are you helpers. After reading this text, 99% of people turn to a search engine with the word “CryptoWall” where you’ll find a lot of thoughts, advices and instructions. Unfortunately, antivirus companies are not and will not be able to restore your files. Moreover, they make things worse by removing instructions to restore encrypted content. Antivirus companies will not be able to help decrypt your encrypted data, unless the correct software and unique decryption key is used. Fortunately, our team is ready to help to provide instructions to decrypt your encrypted content. Keep in mind that the worse has already happened and the further life of your files directly depends on determination and speed of your actions. Therefore, we advice not to delay and follow “ HOW TO DECRYPT” instructions. If you are aware of the whole importance and criticality of the situation, the we suggest to go directly to the below “HOW TO DECRYPT” instructions where you will be given final simple steps, as well as guarantees to restore your files. 1. In case if you don’t already have, Register/Create a BitCoin Wallet. 5. After verification process ( Confirmed, as Paid by our 3rd party provider ) is completed, decryption software and unique key will be E-mailed to you without delays. *Mail Subject, other than “Ref#_xxxxxxxxx” (Your Reference Number ) will be automatically ignored by the system and will result in no reply. * Mail Content, other than “Ref#_xxxxxxxxxxx”, “Sent from” ( Your BitCoin Address ), “Sent to (Our BitCoin Address ) and “Amount ( 1.00 BTC ) will be automatically ignored by the system and will result in no reply. *Any Additional/Irrelevant Subject or Additional/Irrelevant Mail content will be automatically ignored by the system and will result in no reply. * DO NOT USE any other Email Service Provider except “ghostmail.com” as explained in Step #3”. Using any other than “ghostmail.com” Email Provider will result in no reply. Judging by the ransom note, the team behind this “variant” of CryptoWall are oriented towards automating their service. What they may have use is automatic key sending bot which reads specific lines of an e-mail. Another theory is that the creators may pretend to have an automated reply system only to pretend that their virus is extremely widespread and to simply avoid negotiations for the files. Whatever the case may be, malware analysts strongly advise users against paying 1.00 BTC to CryptoWall’s creators. In case you are infected with CryptoWall Software ransomware, we strongly advise that you follow the instructions below. They are methodologically designed to help you remove the CryptoWall virus from your computer. If you pay attention to step “3 Restore files encrypted by Cryptowall” below you may also find alternative methods to try and recover your files there. But bear in mind that they may only work for some and not all of your files. Since CryptoWall may use a CBC-Encryption mode, we also advise users to avoid direct file decryptors or if trying them, to make copies of the encrypted files so that you have a backup when you try to decrypt them. Hey !, I found this information for you: "Remove CryptoWall Software and Restore .Encrypted Files". Here is the website link: https://sensorstechforum.com/remove-cryptowall-software-restore-encrypted-files/. Thank you.